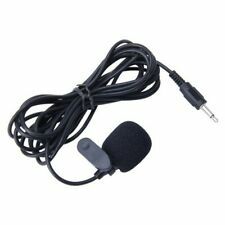 The microphone features an attached 9.84ft cable with a right-angle male 3.5mm connector which plugs into the microphone input on the rear of your compatible car radio. Once mounted the, the mounting clip allows you to adjust the angle of the microphone up or down for better coverage in your vehicle. 3.5mm Car Stereo Bluetooth Microhone Specifications: This is an optional external microphone for select Car Radio head units with built-in Bluetooth that feature a 3.5mm microphone input. The microphone can also be used with external Bluetooth interface module .The Mic will provide better performance in noisy environments. Brand New Car DVD Navigation Bluetooth Microphone Mic Assembly , Feature: Adopting electret condenser cartridge with high sensitivity , low impedance , anti noise and ant jamming capability , with fast and accurate data transmission, which could guarantee the voice clearly and stably under kinds driving occasions, it's highly improved the speech quality of hand free car kit communication system. Technical Details: Polar pa... .
Bluetooth4.0, capable to connect any bluetooth smartphones/tablets. Advanced Bluetooth Technology: The latest Bluetooth 4.0 with built-in microphone makes it possible to phone hands-freely while driving for safety. Suitable for Pioneer car audio. Type: Microphone. 1 x Microphone. Material: ABS, Copper. Features: Durable, Car Accessory, Practical. Due to the light and screen setting difference, the item's color may be slightly different from the pictures. You can clip the microphone head on the sunvisor of your car or on your clothing by the microphone clip included. High data transmission, it can make sure a clear microphone output when your drive. Wireless Bluetooth 2.1 EDR connection, digital LED display, convenient to use music partner. Single press "CH" to enter the frequency settings. Support Bluetooth mode / TF card mode / FM mode, seamlessly switch between incoming call and music mode. 1 Car Stereo Bluetooth Microphone. Color:Black (As Pictures Show). 1 Paste sheet. 1 Windproof Sponge Cover. Selling Blueant Supertooth hands free car speaker. 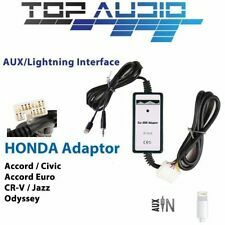 Works great for those without bluetooth in your car. Only selling as we have new car with Bluetooth. Also it has 1.5M Length Cable, even the Backseat passenger in Car can talk through BT so clearly. If you want to make call or receive call more clearly through Bluetooth (car dvd), this mini external microphone is your best choice, easy to install, just plug and play canimprove your calling quality. Integrated Mic. Built-In Mic: Equipped with noise-cancellation technology to provide clear, hands-free calling while you drive. Bluetooth Receiver. Give any stereo with an AUX-In port Bluetooth audio capability. AERPRO ABT500. Bluetooth Hands-Free Kit with DSP Echo Cancellation. Full DSP Echo cancellation. Bluetooth V2.1 CSR BC5. Bluetooth profiles: HSP, HFP. Call transfer between Car kit and Phone. Most recent donors. 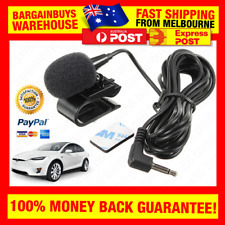 BSR Phone Holder, Charger + Bluetooth Speaker Hands Free Car Kit Ship From Syd. BSR Multifunction Phone Holder/ Bluetooth Hands- Car Kit BT8121. BLUETOOTH PHONE HANDSFREE HOLDER. Bluetooth Version 3.0 EDR. Supports 2 Bluetooth phones. 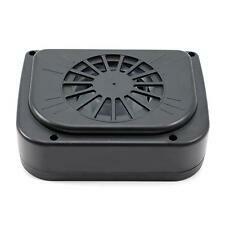 2W Built-in Speaker. Suction Mounting Phone Holder. Support FM full frequency transmitter function, a total of 208 frequency points. Bluetooth transmission distance: Bluetooth 4.0/3.0/.2.0 10 M. Bluetooth 4.0 / 3.0 / 2.0 devices. Support for Bluetooth stereo music player. Alpine Bluetooth Microphone to suit later model Head Units. Model # alpmic. SKU ALPMIC. Compatibility: Jabra Tour is compatible with other Bluetooth devices with Bluetooth 3.0 (or higher). 1 x Jabra Freeway In-Car Speakerphone. Bluetooth compliance: Bluetooth 3.0. Supported Bluetooth profiles: A2DP (v1.2), Hands Free Profile (v1.6), Bluetooth Headset and Hands Free profile (v1.2). Bluetooth Version: Bluetooth 4.0 EDR, Class 2. 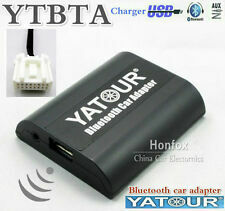 1 x Bluetooth MP3 Player FM Transmitte Car Kit. Support Bluetooth mode / TF mode / FM mode switch seamlessly between incoming calls and music mode. Support Bluetooth protocols: AVRCP, A2DP, HFP, HSP. The Bury CC9048 is the latest product in the new range of Bluetooth hands-free car kits by Bury. Key features include Box Contents 1 x Data box. PICK UP AT DEER PARK (VIC). 2 Years Manufacturer. 1 x User guide. Bury CC9058 bLUETOOTH HANDS-FREE CAR KIT. PICK UP AT DEER PARK (VIC). SCHEDULE PICK UP. 2 Years Manufacturer. Includes ISO cable harness. 8 phones, up to 1,000 phone book entries. Automatic radio mute function when calling. They can be attached to car keys or small devices, and they have LED lights for locating them in the dark. Swipe to see the location of your item on the map. See if you are getting closer to your item. Product Line BlueAnt Supertooth. CE Product Type Bluetooth hands-free speakerphone. Bluetooth hands-free speakerphone, car power adapter, visor clip. Wireless Interface Bluetooth 2.0. CE Features Text-To-Speech system. Supports Bluetooth mode, TF mode, FM mode, which can change perfectly between incoming calls and music mode. Bluetooth voice: A2DP (compatible with Bluetooth stereo playback music). Listen to music and FM radio while driving, answer calls in hands-free mode. Strike Universal Alpha Cradle for All Smart Phones Strike Alpha Universal Cradle for your Smart Phone with charging and external antenna connection. Boost your signal with this Australian engineered holder. Captiva CX-LX-SX 2007-2009. Captiva 7 and Maxx 2010. INTEGRATED BLUETOOTH KIT. Fully integrated bluetooth kit. Colorado LX 2008-2011. For sale is a brand new Smartcar Upgrades Integrated In Car Bluetooth Kit with digital noise cancellation and digital sound processing. 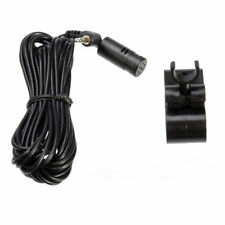 The microphone features an attached 9.84ft(3m) cable with a right-angle male 3.5mm connector which plugs into the microphone input on the rear of your compatible car radio. Once mounted the, the mounting clip allows you to adjust the angle of the microphone up or down for better coverage in your vehicle. Parrot MINIKIT Neo Portable. Portable Bluetooth Hands-free Car Kit Module Parrot Minikit Neo CAR for Blackberry iphone HTC phones Nokia iPhone HTC Samsung Nokia RIM phones HANDSFREE Add-on Interface. In great shape never used but box has been opened. BLUETOOTH FUNCTION : Bluetooth V4.0 ,Transfer Calling / Music / FM /. 5% every hour low power consumption when use bluetooth play music. Built-in FM transmitter, 87.5-108.0MHz of full frequency. FM Transmitter Function. Bluetooth calling kits were first introduced to the market in 2001, and became a much sought after safety feature in vehicles in the late 2000s. Distracted driving causes countless accidents, and utilising a calling kit can keep your mind on the road while enabling you to still send and receive calls and text messages. In many countries, it is against the law to use a mobile phone in a vehicle unless it is a hands-free device. Noise-reduction car Bluetooth and hands-free calling kits make it easier than ever to drive and take phone calls at the same time. Noise-reduction technology, also known as reduction technology, ensures that background noise is filtered out of an earpiece. Whether you are driving fast, or you happen to have the window down for some fresh air, a high-quality noise-cancelling Bluetooth calling kit will produce crystal-clear calls every time. Car Bluetooth and hands-free calling kits with caller ID let you do two things at once. They help you keep your eyes on the road while giving you the ability to screen calls while driving. If you don't recognise a number or you simply don't feel like talking, you can prompt a reject. Many kits allow you the ability to reject a call immediately or route it to your voicemail. 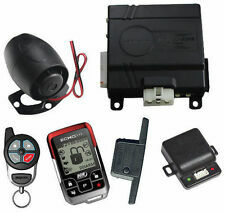 Motorcycle Bluetooth calling kits are becoming more and more popular. Utilising the same technology as car Bluetooth kits, they give riders the ability to take calls. Most of these kits offer advanced noise-reduction technology and are housed within a driver's helmet. Many come with an FM tuner, making them ideal for listening to music while enjoying the cool breeze. 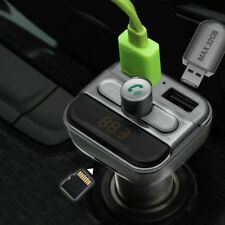 There are many car electronic accessories that you can add to enhance your Bluetooth calling kits. Noise-cancelling headphones are a great option to use in conjunction with your hands-free kit, especially for parents with kids or people who are conducting business. It allows only you to hear responses and, when paired with a microphone, it makes for a very efficient way to carry on a conversation.